Daiso is probably the most famous and indeed best 100 yen store with all it has to offer, but Seria 100 yen store is my personal favourite. And has grown from strength to strength from positioning itself as the classier of the 100 yen stores. The store's decor as well as its produce is just that bit more classy than Daiso or any of the other 100 yen stores. Their branches are bright, clean and colourful with a more modern feel than many of the 100 yen stores that look as cheap as their produce. This branch in Kawagoe Modi is quite large and hugely popular. The Kawagoe Modi branch of Seria is located on the second floor of the mall, beside a small Nitori. It is just a couple of minutes walk from Kawagoe station. There is parking at the back of Kawagoe Modi. 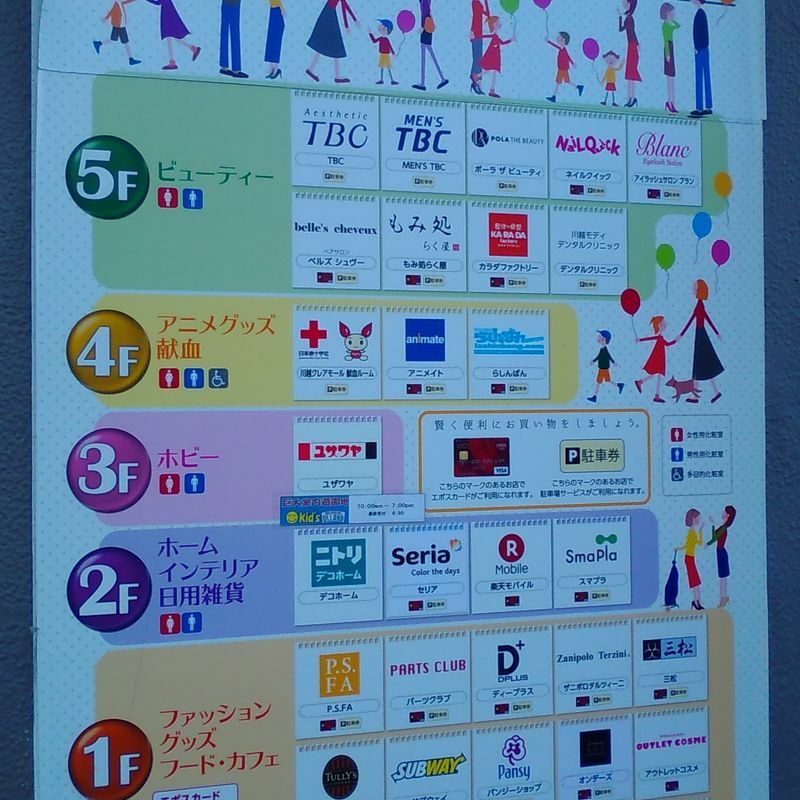 It costs 400 yen per hour, but if you spend more than a 1000 yen you can get your parking validated for one free hour.